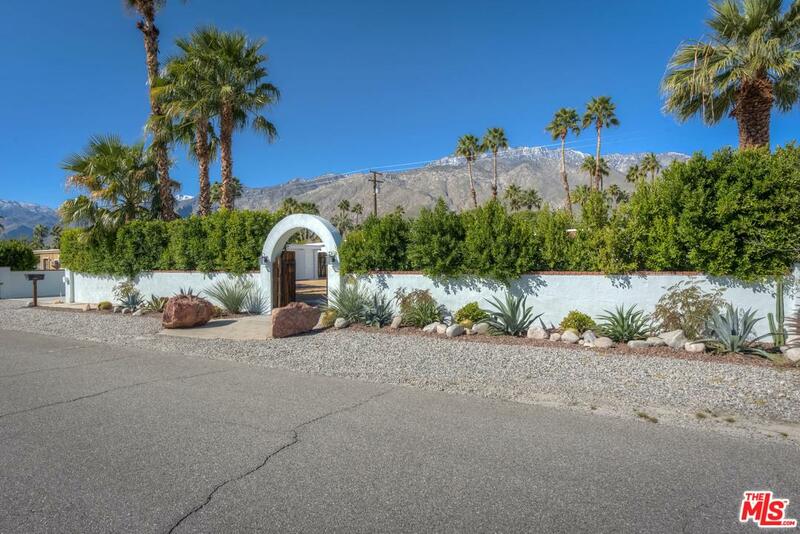 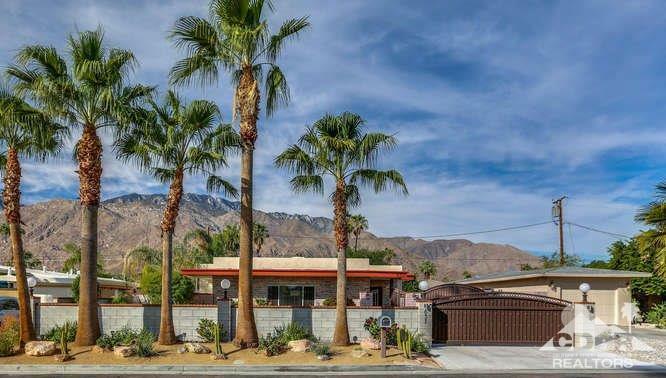 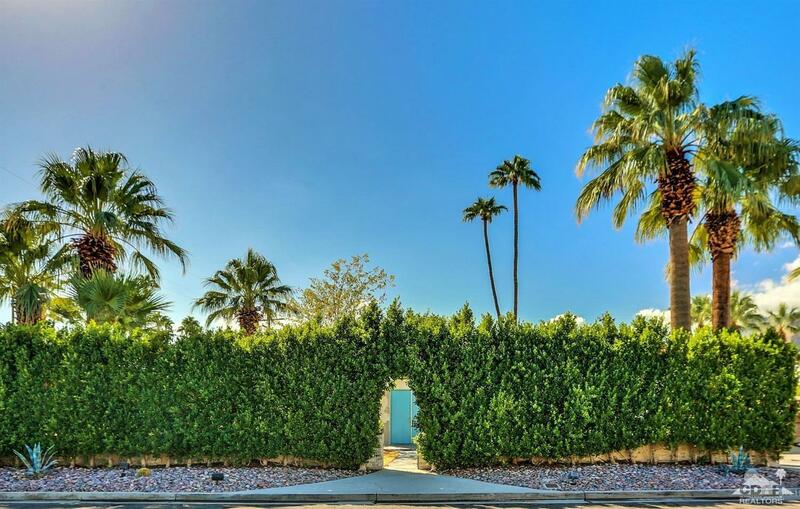 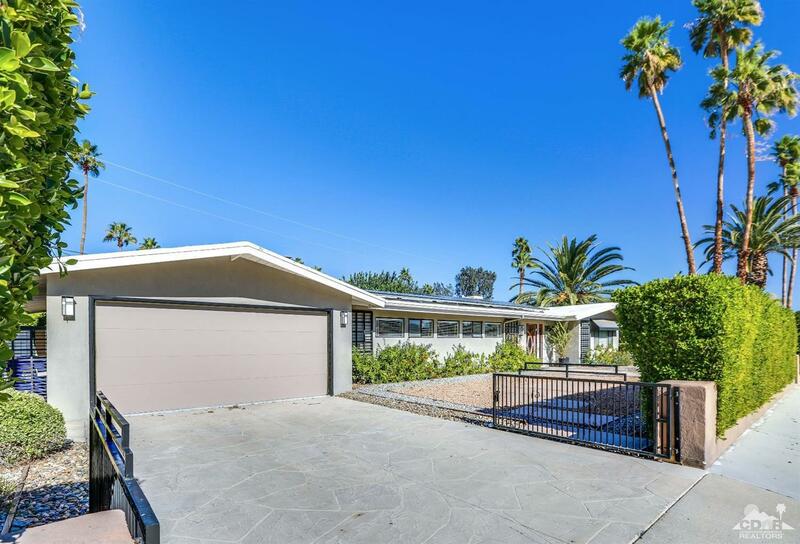 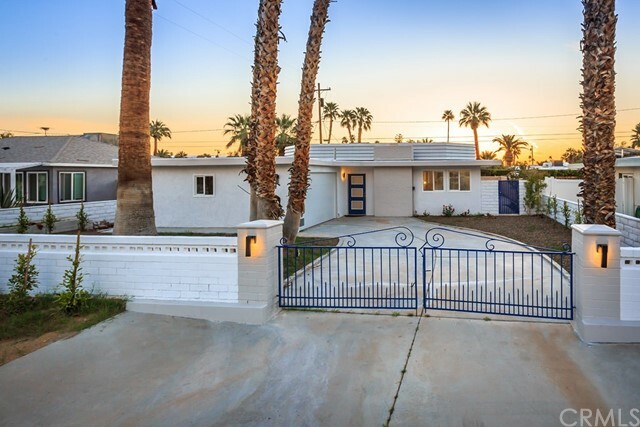 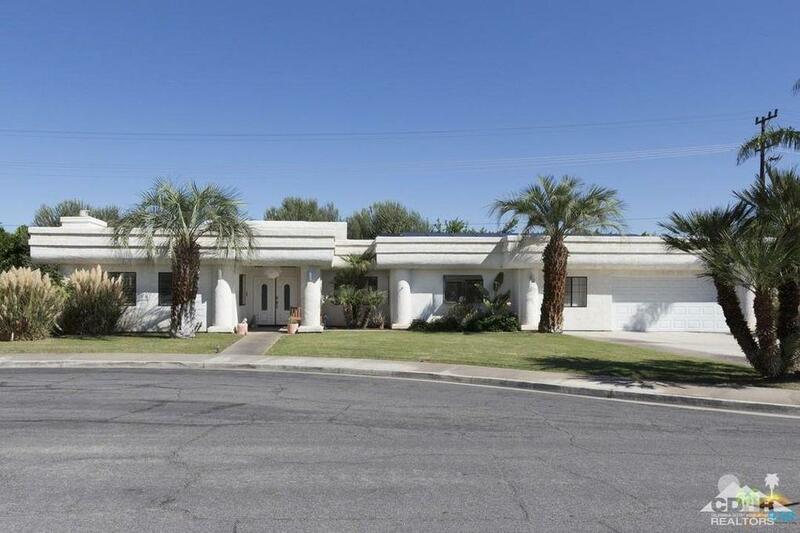 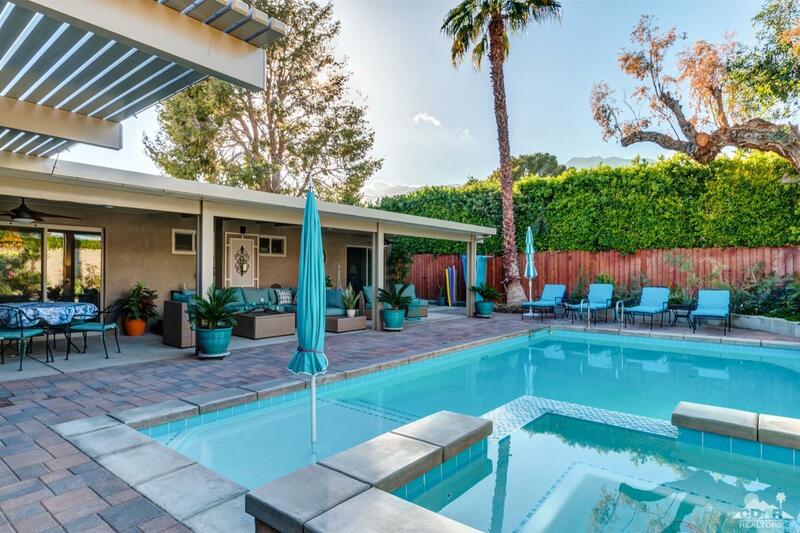 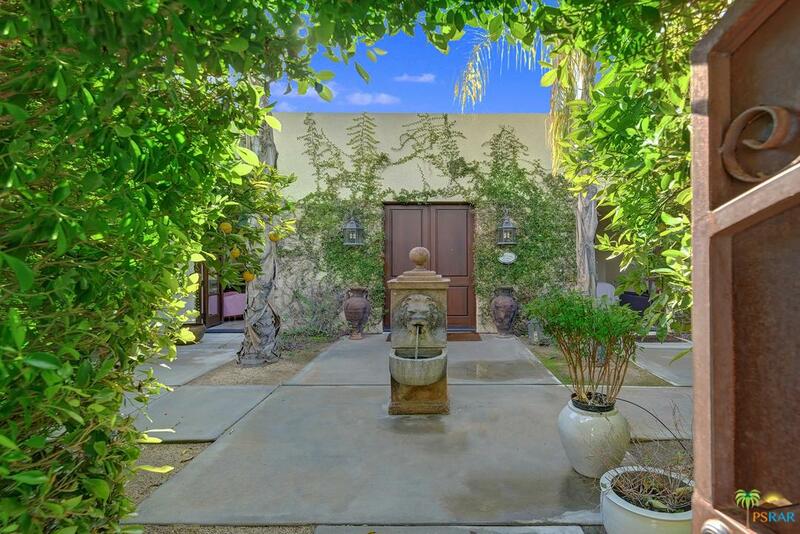 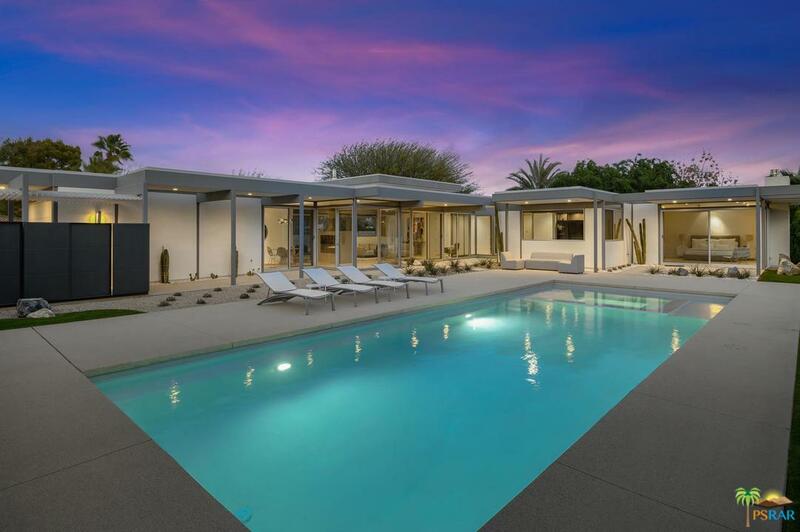 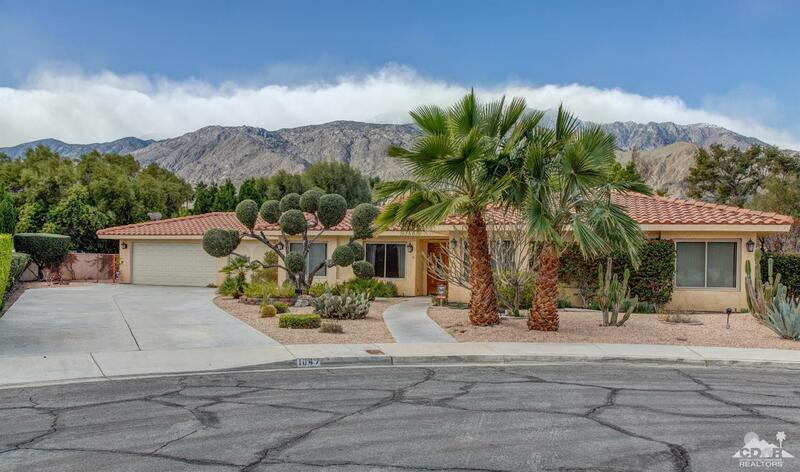 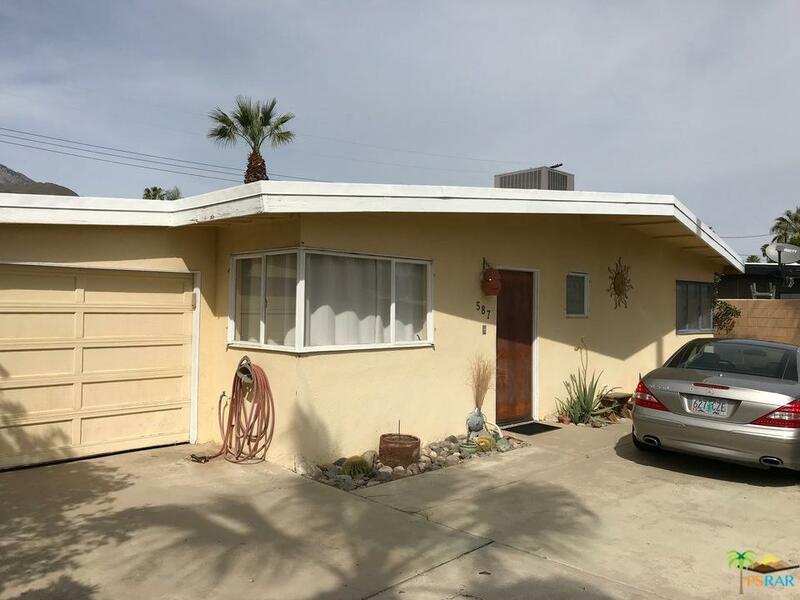 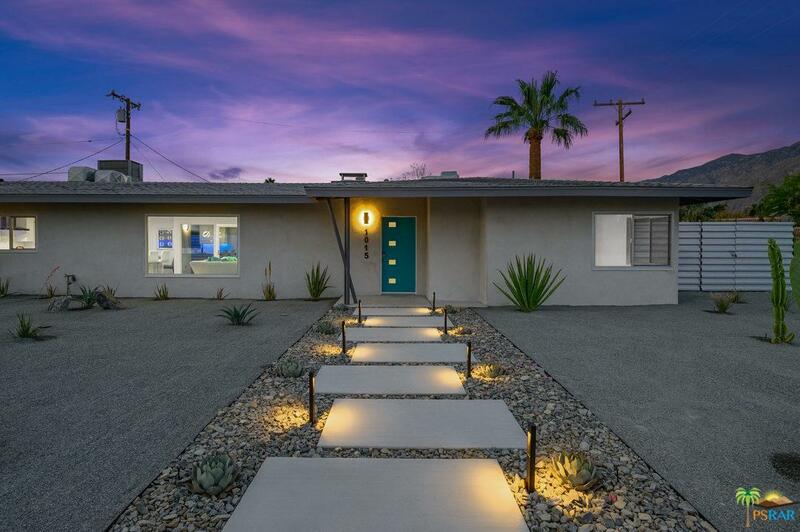 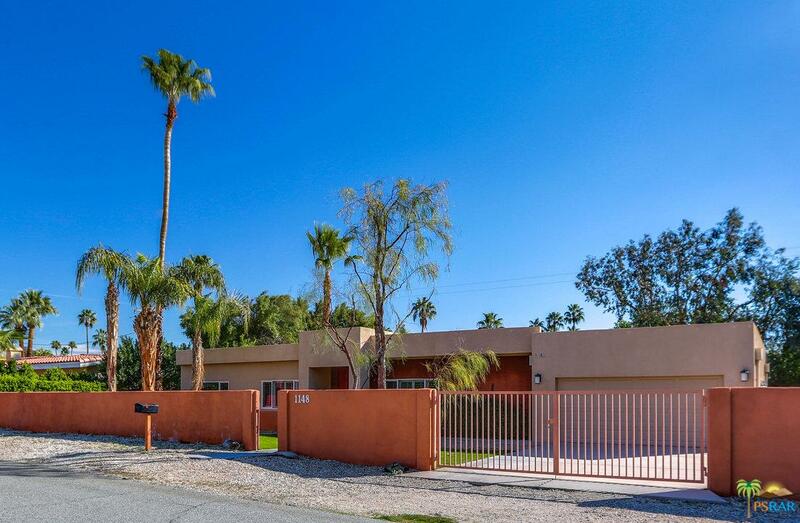 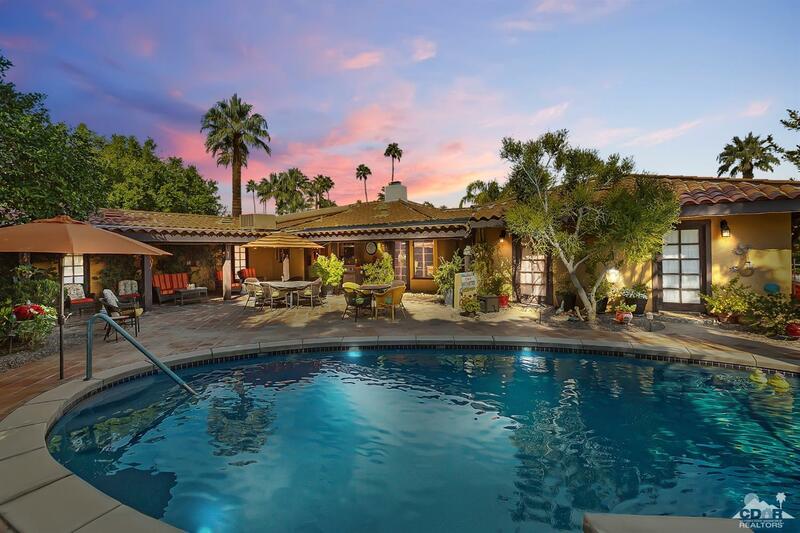 RARE Palm Springs Atomic Ranch Home with outdoor living at its very best. 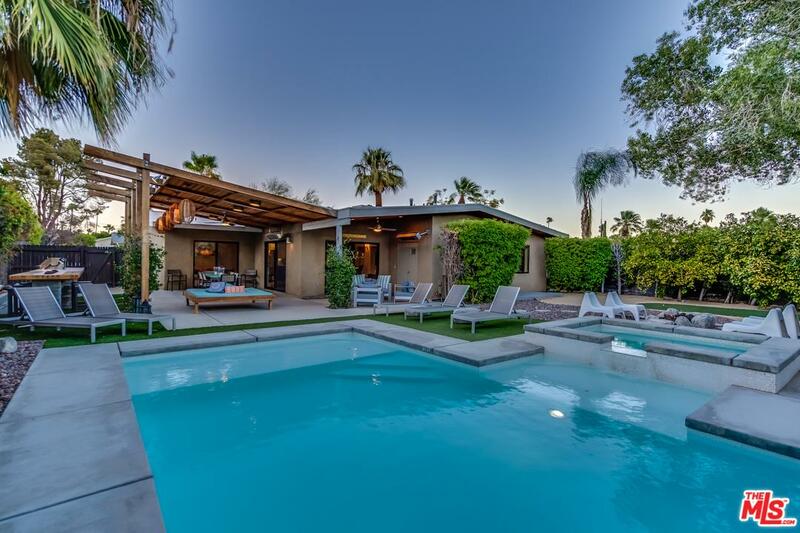 A sophisticated and luxurious retreat in the desert with everything you would want in a VACATION RENTAL PROPERTY! 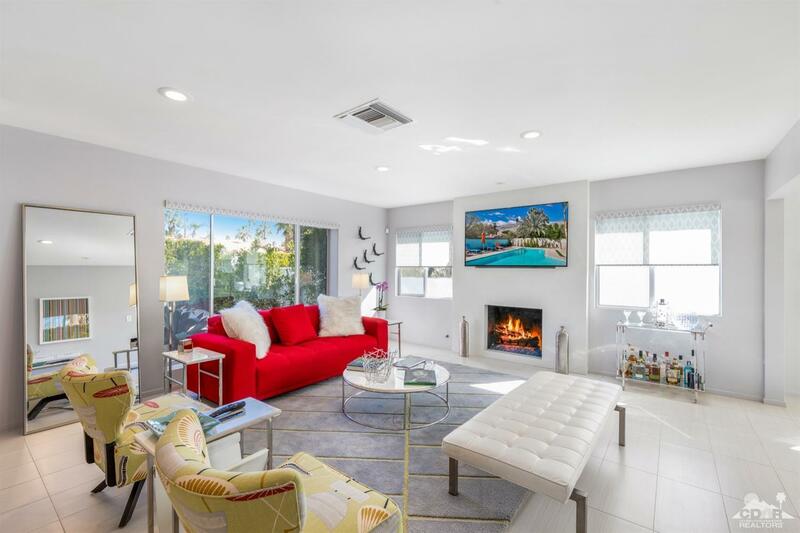 This 3 Bed and 2.5 Bath sanctuary also offers an open floor plan with a kitchen, living room, dining area and hardwood & tile flooring throughout. 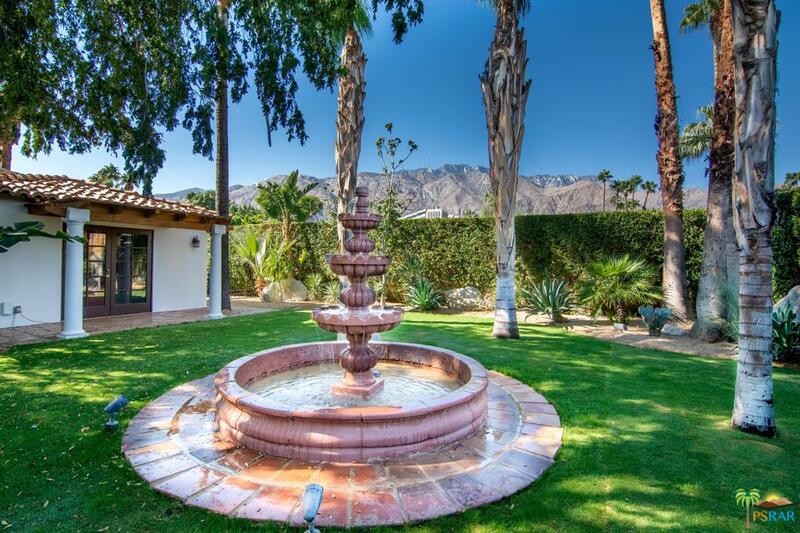 Walk outside to a lavish outdoor experience, featuring an outdoor kitchen with a professional barbecue grill, ice maker, ample seating, fire bar, fire pit, hammock, amazing pool with 2 tanning shelves, spill-over waterfall, spa, space heaters, ambiance lighting and spectacular mountain views. 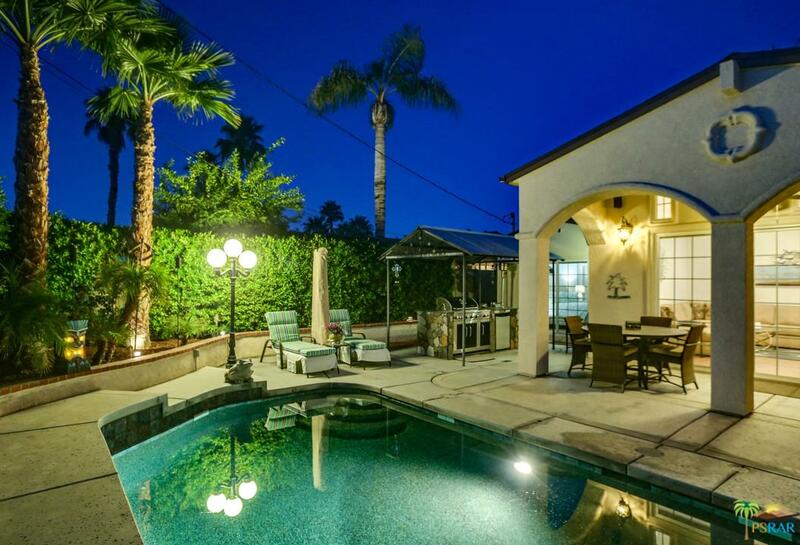 Located just under a mile away from Downtown, this home provides an exquisite and entertaining oasis while being close to the thriving city life.